We are not your typical furniture store, but rather a residential & commercial furniture manufacturer. If you are looking for a custom built piece or are interested in a piece on our website please contact us via email, phone, or stop by our studio. Our turn around time is usually 8-10 weeks. Kieselbach Woodworks started in a small shared space back in 1994. It since has grown in size. We are conveniently located in Kaka’ako. At Kieselbach Woodworks you will find the finest quality work, pride in workmanship and exceptional customer satisfaction. We are experienced in using many varieties of exotic solid woods and use true mortise and tenon joinery, and not press fit dowels. We adhere to the A.W.I. quality standards for stile and rail doors. You can find our work in residences, hotels, churches, boutique stores and restaurants throughout the island. 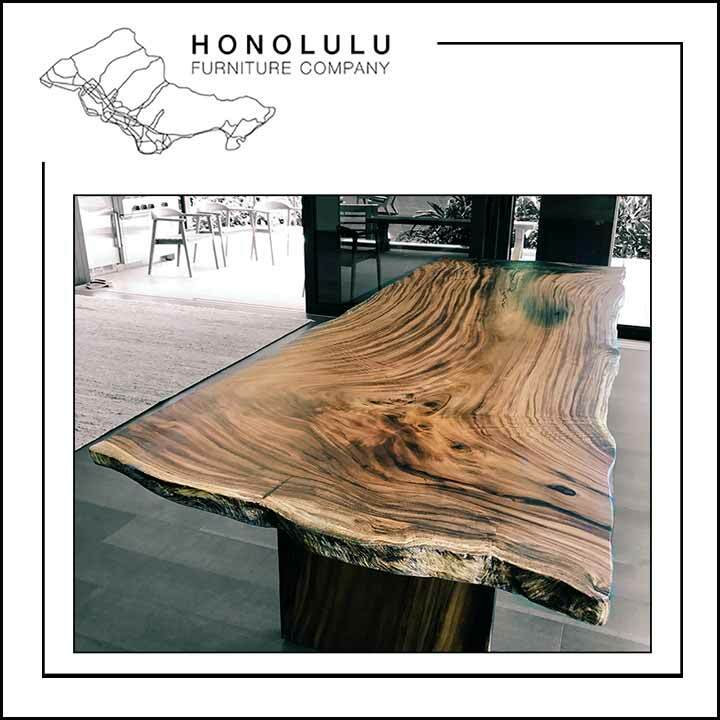 Kini and family create custom furniture out of tropical hardwoods in the town of Waimanalo on the island of Oahu in Hawai'i. His love for wood started 40 years ago when he built his first kitchen table and subsequently most of the furniture for his house. The wood is all reclaimed on Oahu from dead trees and construction sites using portable saw mills and chain saws. Kini can be found most days at the showroom which is located on 2 acres in Waimanalo. We have horses and a donkey you can visit and often you can see the saw mill in action. Open 7 days a week 8am-6pm. Please call ahead (808) 227-9473.